The dashing Vijay is undoubtedly one of the most revered and successful stars in Tamil cinema today. During his highly eventful career, ‘Thalapathy’—as movie buffs call him—has won the love of movie goers thanks to his raw personality, good performances and simple nature. Furthermore, he has delivered quite a few hits and proved that he is success personified. Now, his fans have a big reason to celebrate. In an exciting development, singer GV Prakash just confirmed that he has rendered a single titled ‘Mersal Arasan’ in Vijay’s eagerly-awaited ‘Mersal’. He also added that he is eager for the makers to release the single. “Waiting for #MersalArasan with my voice for thalapathy #MersalMusicLive #Mersalsong,” he added. Well, that is quite a revelation and is bound to create a buzz amongst fans. 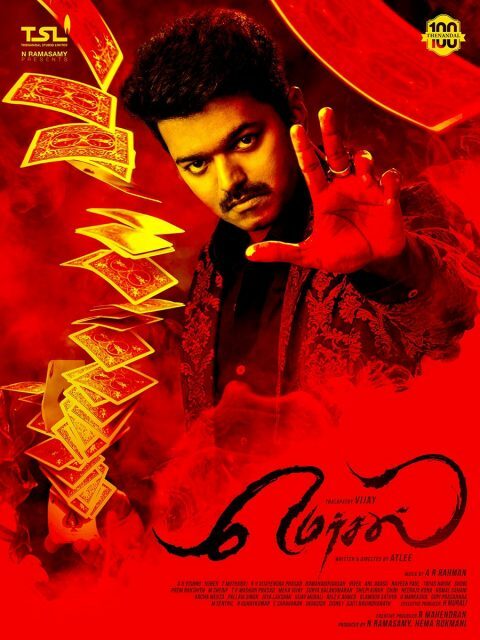 In case you did not know, ‘Mersal’ is touted to be an action-drama and has been directed by Atlee. Besides ‘Thalapathy’, it also features Kajal Aggarwal and Samantha Ruth Prabhu in the lead. The film’s first two singles ‘Neethanae’ and ‘Aalaporaan Thamizhan’ have already create a buzz amongst fans. And, we hope that ‘Mersal Arasan’ too does well. On a related note, ‘Mersal’ will be Vijay’s second release of the year. He was last seen in the action-drama ‘Bairavaa’. Released in January, it also featured Keerthy Suresh in the lead and opened to a decent response at the box office. So, do you feel that ‘Mersal’ will work at the box office? Comments, please!